Seasons are reasons to play Crush-o-Mania, drag and match colourful Fruits to unwrap fruit-cellent in-game surprises! 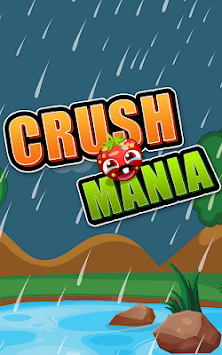 Start playing Crush-O-Mania today – which will be loved by millions of players around the world. With over a thousands of levels, this classic match of 3 puzzle game is one of the most popular mobile games of all time! 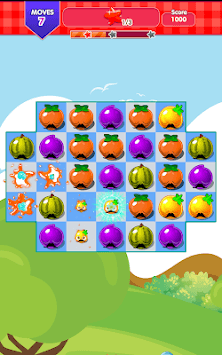 Drag and match Fruits in this divine classic puzzle to progress to the next level in hope of achieving that Juicy feeling! Quick thinking and smart moves are rewarded with delicious Star shining fruits! 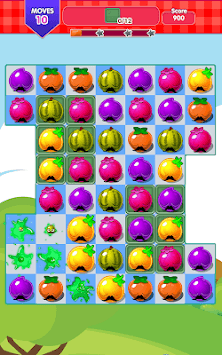 Smartly move by matching 3 or more fruits in a row or other rows, using boosters wisely and nicely in order to overcome those extra tough levels! Smash the bonus weapons and collect ingredients across thousands of levels for unlocking more rounds and then jump to the competition of Masters for freebies from Crush-O-Mania! Play with friends! Crush-O-Mania is completely free to play but some optional in-game items will require payment. ● Classic ways to play: Target Stars, Clear the Jelly, Collect the Ingredients and The Time Rush! ● Check daily to receive free rewards, take part in time limited challenges to earn boosters to help you get more levels! ● Collect fruit juices to progress along with friends! ● Unwrap delicious environments and meet your friends online. ● Thousands of the best levels and puzzles in the GameLooper and with more added! Visit https://www.worklooper.com/contact-us/ if you need help!